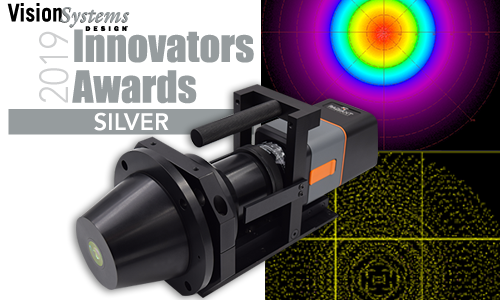 Radiant Vision Systems develops advanced imaging solutions to address your most demanding inspection challenges. Our systems evaluate light, color, manufacturing integrity, and surface quality more effectively and efficiently than other methods, improving design and inspection of illuminated displays, light sources, and device assemblies. Engineered to replicate the human eye's sensitivity to visible wavelengths of light, our photometric cameras enable you to meet customer expectations for high-value devices. 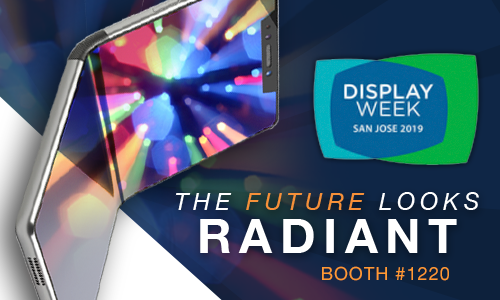 Get a free pass to the exhibit by using Radiant Discount Code (3ygmhLqh), and see our latest display test solutions in over 10 product demonstrations at booth #1220. 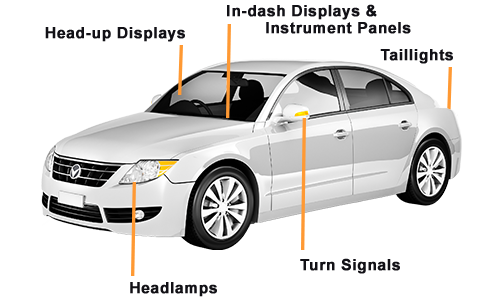 From dashboard displays and instrument panels to head-up displays and headlamps, Radiant photometric imaging solutions are applied at every illuminated component in the vehicle to ensure harmonization, safety, and accuracy. Our latest measurement solution characterizes angular and structured light emissions produced by near-IR LEDs and lasers for 3D sensing applications like facial and gesture recognition.